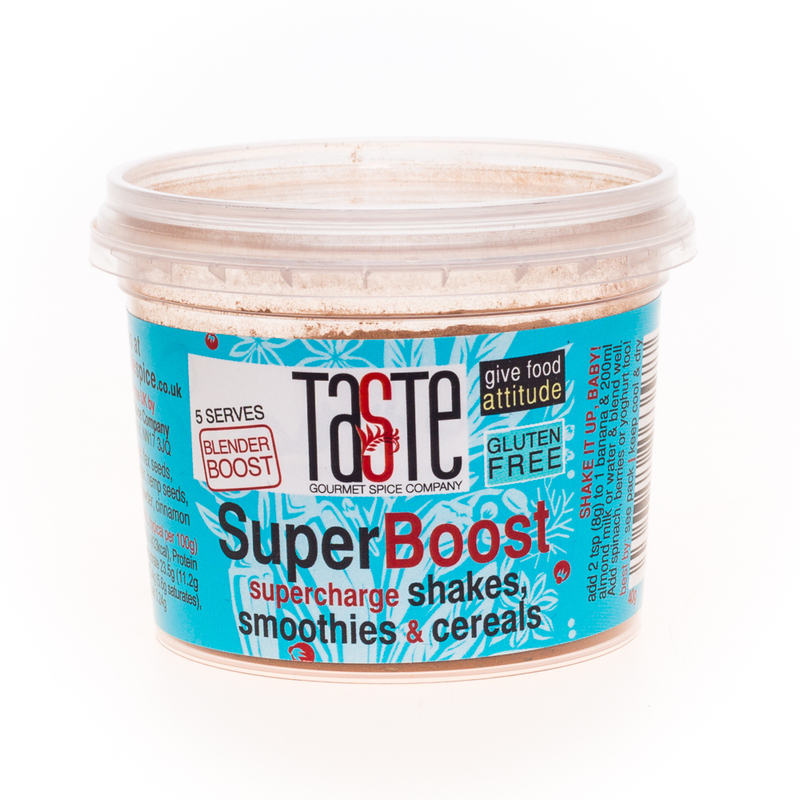 Give your smoothies & protein shakes a massive nutritional kick with our incredible SuperBoost blend. This burst of nutrients can help support a healthier lifestyle & is simple to incorporate into your routine. Each pot is enough for around 5 servings so it's great value too! 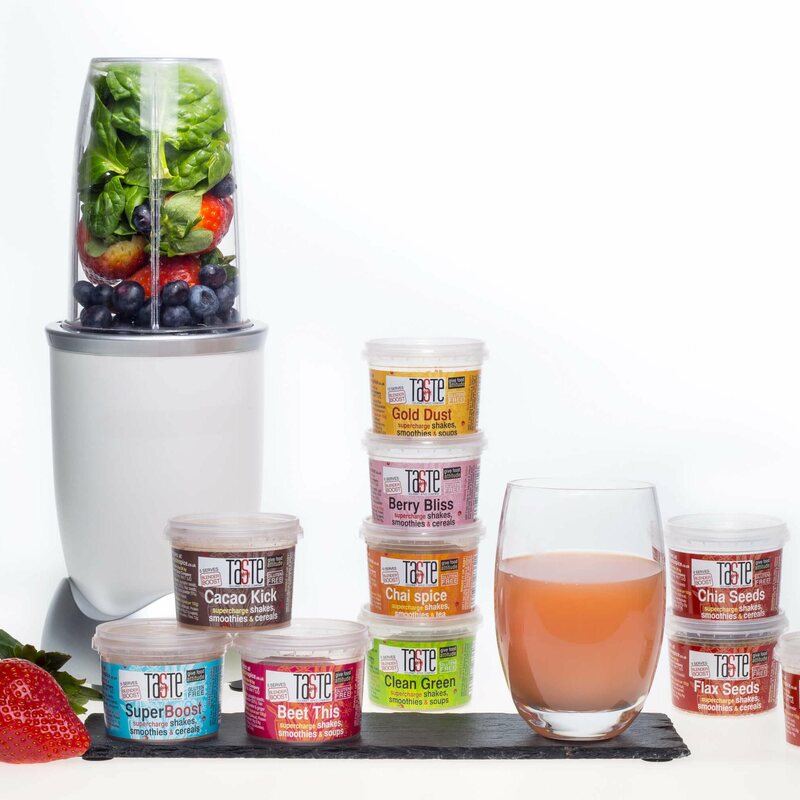 A perfectly balanced blend of flax seeds, raw cacao powder, hemp seeds, goji berry powder & cinnamon not only increases the nutritional content of your smoothies, it tastes great too. You can add a teaspoon of this mix into porridge or muesli for a twist. For a great smoothie, shake well to mix the seeds, then add 2 tsp (8g) of SuperBoost to a blender with a banana & 200ml of your favourite plant-based milk (we use almond or coconut) & blend well. Add frozen berries for an extra boost. If just used like this, the pot contains around 5 servings, so it’s great value. Volume: 40g resealable pot. Shelf life 18-24 months.